In my last post I mentioned that I would be taking a hiatus from sweets and decadence. Well, that didn’t happen for long. We had some friends over for dinner last night and decided on a Mexican feast, which of course means margaritas, carne asada, tostada bar and tres leches as the finale. The boyfriend was ridiculously nice and went out to buy all the fixings and ingredients at El Metate Market, which was introduced to be by Iris last month. Their carne asada is uh-mazing and cheap! I got the approval from our friend Sabrina, whose family comes from Mexico City and her boyfriend Terry, who is half Mexican and… Dutch? Being half Mexican myself and raised in a family that almost opened up a taco chain called California Taco Company, I know a little about good carne as well. Anyhow, my poor vegetarian boyfriend went to El Metate, and in broken Spanish ordered 2lbs of carne asada, which was delivered to him in a nice, juicy plastic bag. Many thanks to him for this sacrifice. 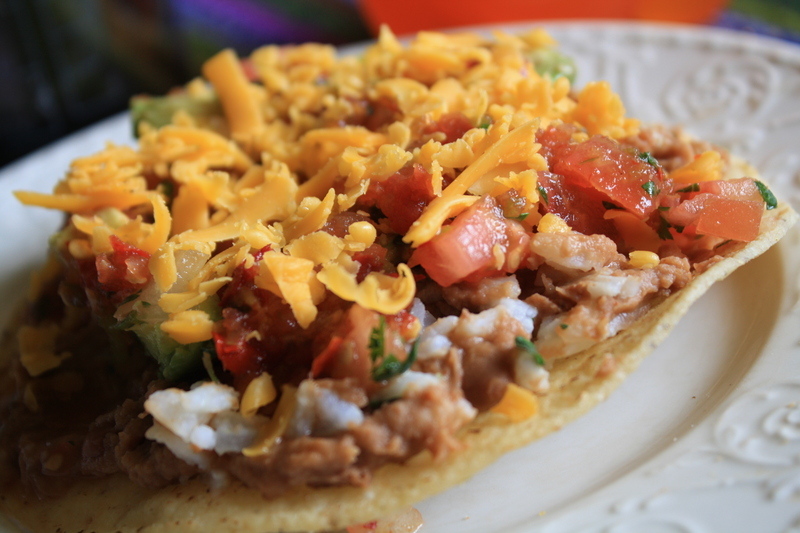 To make a delicious tostada bar, you can use: cheese, carne asada, tomatoes, homemade pico de gallo, refried beans, cilantro, onion, a spicy salsa (El Metate has a great one), guacamole, extra avocado and some rice. I made cilantro rice, with a little butter, cilantro and lime added in. Have all the fixings out so everyone can top their tostada with their choice of toppings, and that’s that. This is a vegetarian tostada for lunch since I packed up the left-over meat for our guests. I personally think the vegetarian version is just as good. The boyfriend loves these. 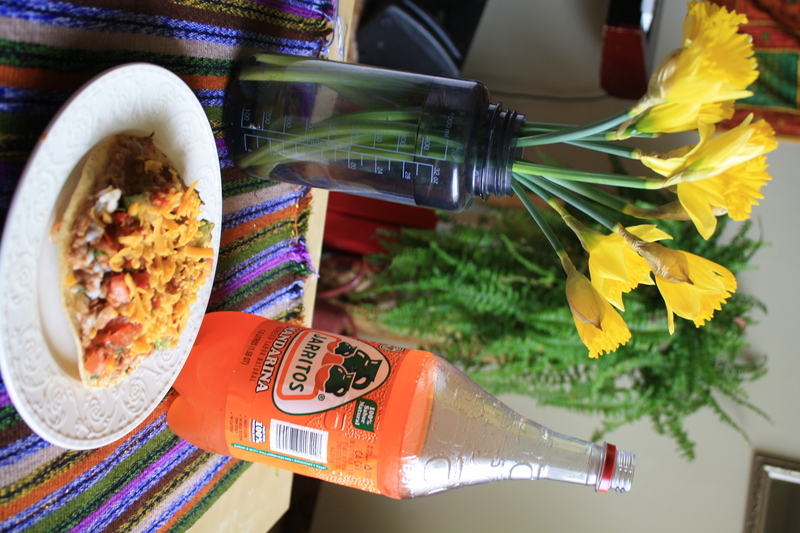 Pair it with some Jarritos (and tequila) and some colorful flowers in a plastic water bottle, and you’ve got yourself one tasty and colorful lunch. I could not find my beloved Joy of Cooking (hint, hint: gift idea) which is sad since I love their version and have made it many times with success. 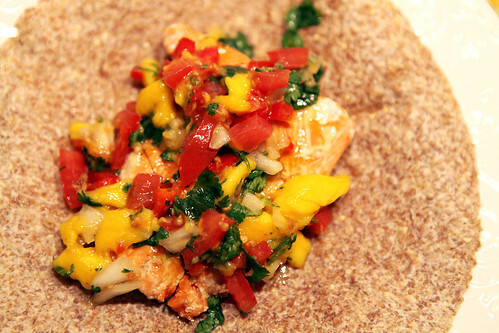 Instead I used a recipe from Pati’s Mexican cooking blog, which seemed pretty legit, but it came out really dense. I normally like my tres leches to be super moist and soggy, but this was quite cake-like and spotty with dry spots even though I doubled the milk. A perfectly textured tres leches requires a really light sponge cake. 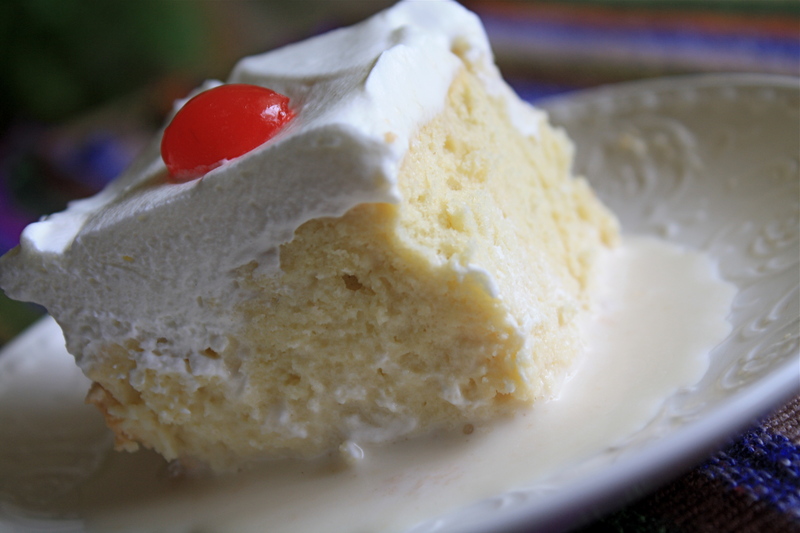 If you’re tempted to try this dessert be careful when scouring the internet for a recipe: tres leches should NOT have oil or butter in it, and AllRecipes top pick is not doing justice to this dessert. The cake is simple enough. Beat nine egg whites until soft peaks form. Then, add 1/2 cup sugar and beat until stiff peaks form (you should be able to turn the bowl upside down with the egg whites not moving). In a separate bowl, beat the egg yolks until they are creamy and light in color. 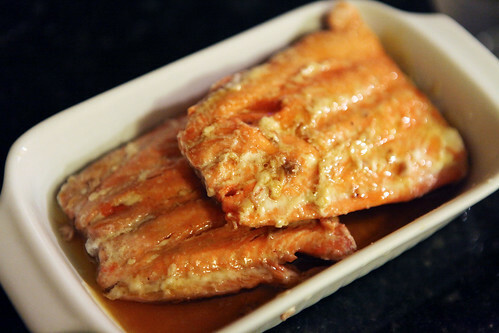 Add 1/2 cup of sugar to that along with a teaspoon of vanilla and beat for 3-5 minutes. Slowly add the yolks to the bowl of whites with a spatula, folding them in. Add 2 cups of flour (I might add less next time) and fold in until incorporated. Bake for 20-25 minutes at 360. Once it is finished, poke holes in the cake with a chopstick or skewer. 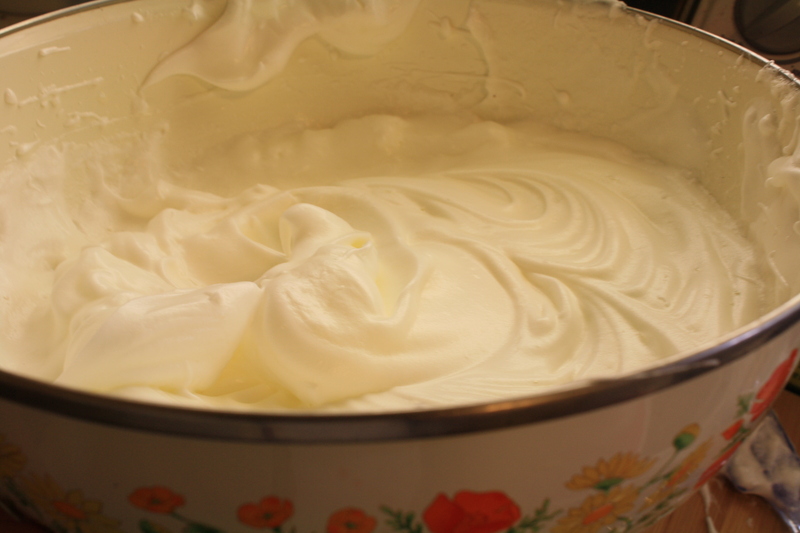 Mix together 2 cans of evaporated milk, 2 cups of heavy whipping cream and 2 cans of condensed milk with a whisk. Pour over the cake slowly, trying to get the middle drenched first. If you double the milk you will probably have extra, which is always nice to serve on the side. Let the cake soak for at least an hour in the fridge, if not overnight. You can top it with fresh heavy whipping cream and cherries. Someday I’m going to make a coconut version of this with coconut milk, maybe for my step-mom who loves coconut and tres leches. I’ll leave you with this lovely, semi-racist song by my all-time fav, Peggy Lee. I’m definitely waiting until mañana to put desserts and refried things behind me.